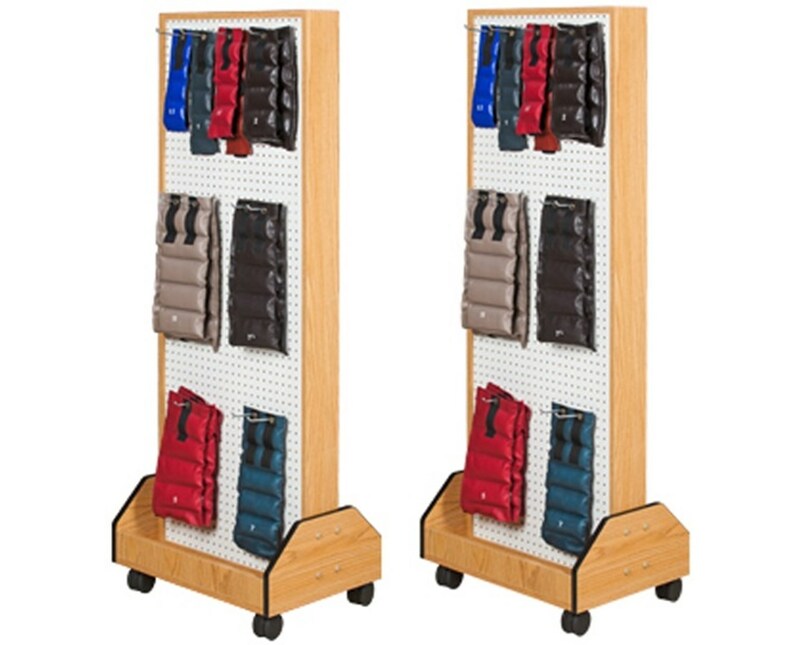 The Clinton Industries Element Series Koala PegRac Weight Rack is a double-sided cuff weight rack, which can hold up to 96 cuff weights making it an ideal choice for any exercise, physical therapy, and rehabilitation therapy. 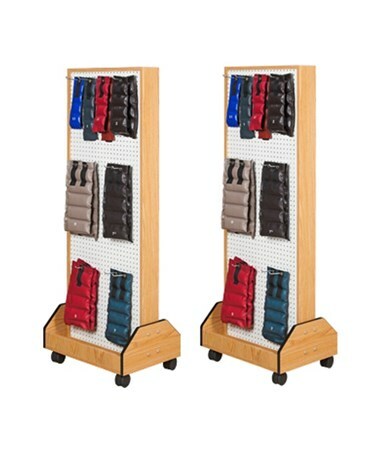 Its included white pegboard provides easy access and optimum mobility. It features a protective bumper molding around the base which prevents damages and scuffs. The Koala PegRac includes 3" swivel casters, with 2 that lock, for hassle-free and smooth movement around the facility. It comes in a size of 25.5" L x 18" W x 66.5" H.